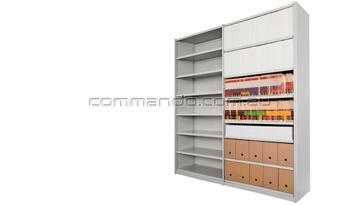 Storage Innovators: Steel Shelving to Mobile Storage Systems and more. Have you audited your own inventory recently? Perhaps it is time to re-evaluate how you store items and utilize your floor space. The right infrastructure and equipment can make all of the difference in your day-to-day operations. 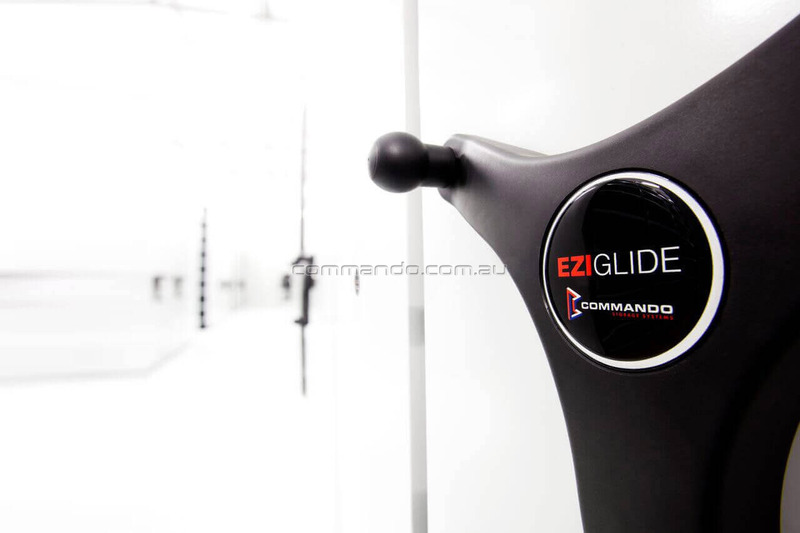 Let the team at Commando help you maximise your return-on-investment with the right solutions to accommodate your operational requirements. Operating for over 30 years, we continue to innovate, engineer and provide quality products including steel cabinets, metal lockers and a large range of steel shelving systems. Obligation-free quotes where we'll determine a storage solution at a competitive price for you, at no cost. A plan of the proposed solution for implementation including detailed specifications. Ezi-store slotted angle, moduline and medi basket varieties as well as library, long span and cool room options. 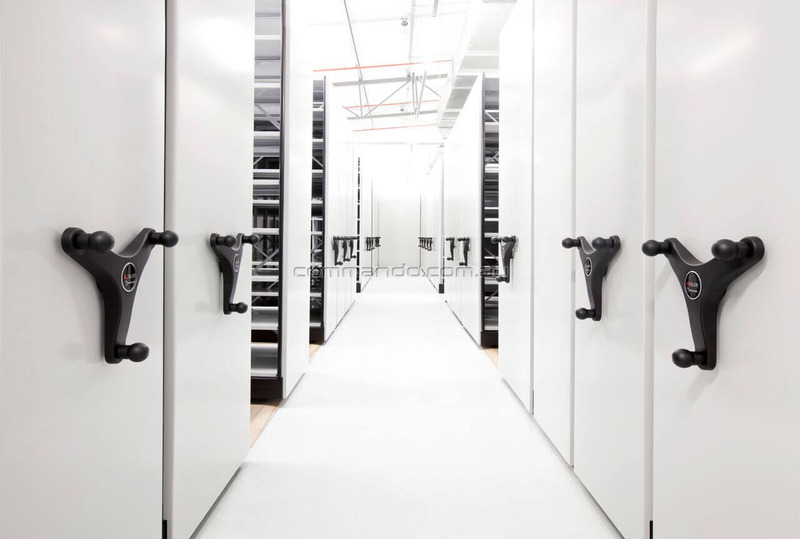 Ezi-Glide Extenda, Maxx, long span and top track mobile storage systems make office storage compact, efficient and easy to access. Zinc, stainless steel and epoxy coated systems for hospitals, kitchens and cool rooms. 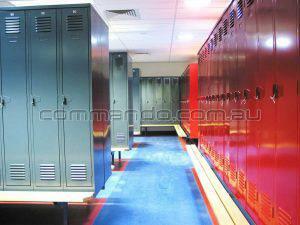 A complete locker room solution for schools, gyms, warehouses and offices. 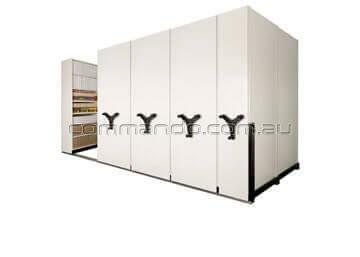 A range of options for art goods including mobile and static art racks, till units and drying racks as well as roll dispenser trolleys and other mobile storage systems for artworks. 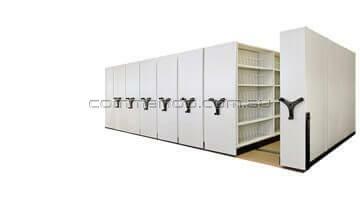 Pallet racking, workbenches and other industrial shelving systems. Complete binning solutions including louvered panels, pick bins and parts trays. 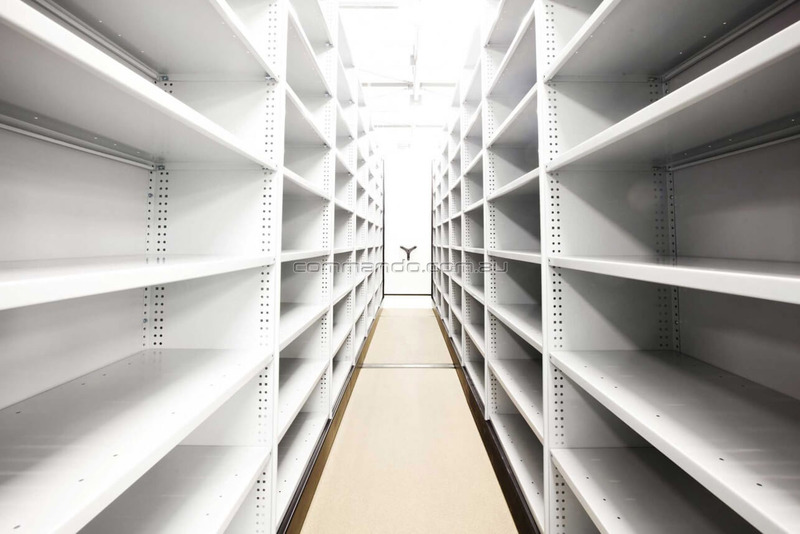 Filling racks, dividers, bin fronts, reference shelves, filing frames, wire baskets, hanging rails, magnetic label holders and perforated panels. 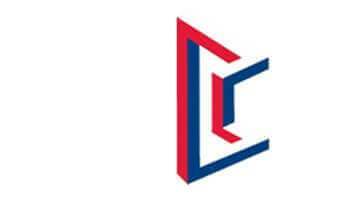 We also have experienced professionals on-hand that can tailor design solutions for you. 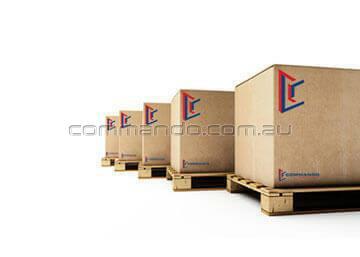 Commando Storage Systems is an environmentally certified company through BSI Australia. 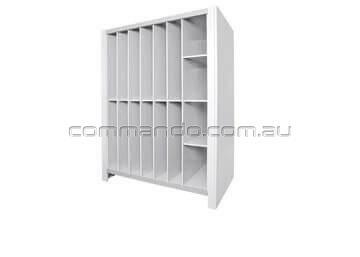 Commando Storage Systems is a NSW Government approved supplier for the Furniture Prequalification Scheme - SCM0771.